We love city life, but one of the disadvantages of living in the city is having limited space for visitors. Luckily the Boston area has some great hotels to choose from when family and friends come to stay. The Royal Sonesta Boston is a hotel where my extended family often stays when they come to Boston. It started when my daughter was little and the grandparents would come in for a weekend with their granddaughter. We have been back to the Sonesta many times for various auctions, events and galas supporting local schools or organizations like the Cambridge YWCA, hotel stays, lunch at the Art Bar or dinner at Dante. The Royal Sonesta Boston has hosted us for a night in the past to check out some of their past family friendly events like movie night at the pool. While family friendly, the Royal Sonesta also has a very sophisticated vibe. 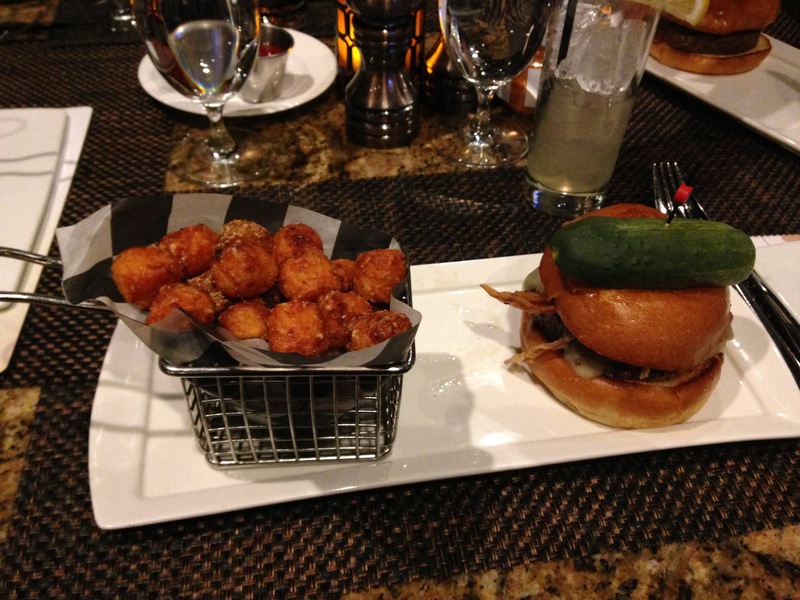 When you get peckish, food options go way beyond average and the Sonesta’s location is ideal situated on the edge of the Charles River with Cambridge underfoot and Boston just across the bridge. 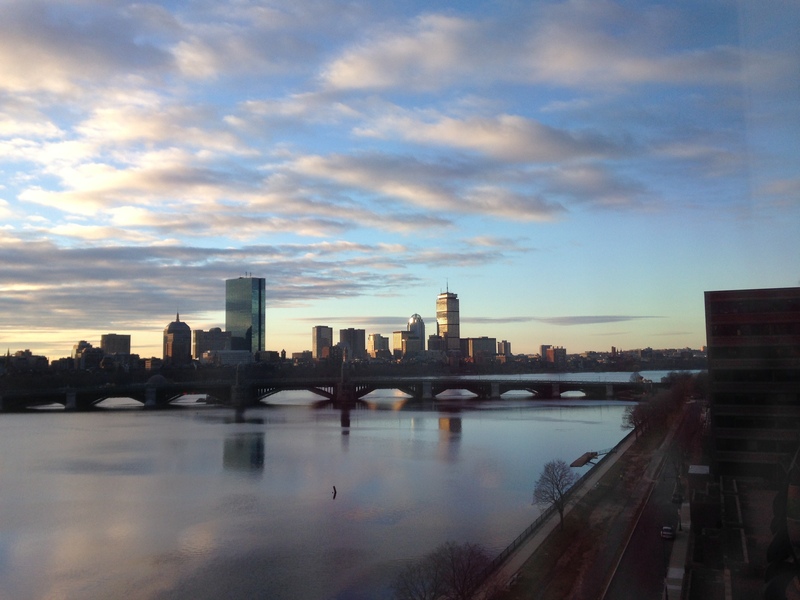 Boston has many fabulous views, but the best views are seen right here from one of the Royal Sonesta Boston River View Rooms looking over the Charles River. It is hard to choose between river views and city scapes. Whichever room you stay in, you get a pretty great perspective. Watching the sun set over the Charles River is a wonderful way to close out the day. Whether you live down the street, one state away or across the globe a view like this one puts you in vacation mode. Sunrise over the historic cities of Boston and Cambridge is pretty spectacular too (and you know that you’ll be seeing some sunrises especially if you are a parent to little ones). The rooms are spacious so you are not tripping over one another. There are Cambridge view rooms, river view rooms and executive suites that also look out over the river. The Royal Sonesta Boston always seems to have special offers and packages available online as well. The Royal Sonesta’s family friendly packages and amenities are also a draw. Even though the hotel itself has an air of sophistication, the youngest guests are made to feel welcome. While parents could enjoy a romantic weekend away and cocktails at Motif they can also come as a family to swim, relax and have the city and all it has to offer just outside the door. For families, there are children’s menus available at the ART Bar Restaurant. The convenience of Studio Express is great for early risers or grabbing a quick afternoon snack for the little ones or hangry (that’s hungry=angry) parents. 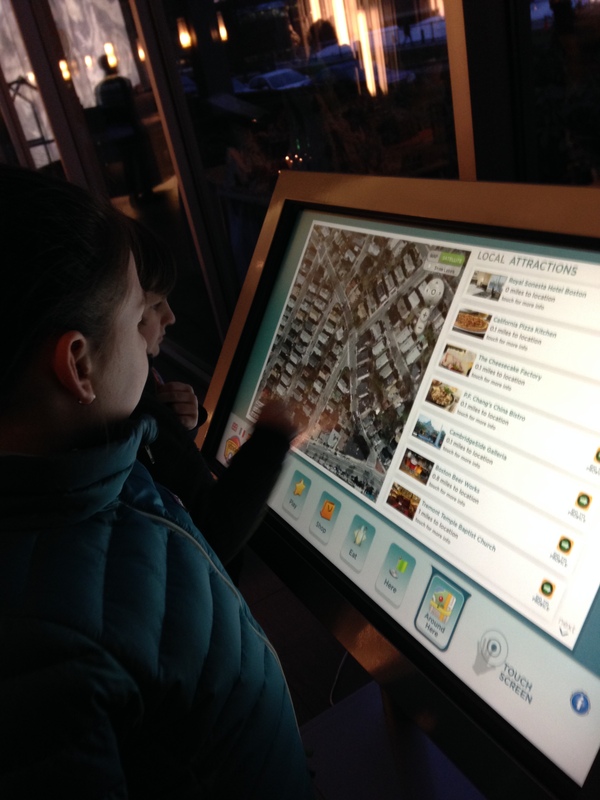 If you want to get in a visit to the Museum of Science during your stay then book the Little Scientist Package. This package treats the family to milk and cookies in their room at check in and includes 4 passes to the Museum of Science. The large pool is another draw for families as well. The Royal Sonesta Boston pool is one of the larger hotel pools so kids don’t outgrow it ever. There are lounge chairs for relaxing poolside, but there is also enough space for a good game of Marco Polo in the pool as well. Checking out what there is in the neighborhood. Museum of Science, CambridgeSide Galleria, Restaurants and more. As I mentioned before, The Royal Sonesta Boston is right on the Charles River. You can stroll along the river or cross the street and hop on one of the Charles River Cruises right from the Cambridgeside Galleria. On the other side of the hotel, is the Cambridgeside Galleria which is perfect for a little shopping whether you want some good finds at TJ Maxx or you want to check out the latest looks from J Crew, Super Dry or Club Monaco. The Lechemere Station on the Green line is right near the hotel and it is a quick stop over the river to get to Boston’s famous North End to take in some history or sample some delicious Italian treats. TD Garden is just on the other side of the river. Heading into Cambridge, you are a stone’s throw from MIT and the museums there and a few short stops away from Harvard Square as well. These sweet potato tater tots are delicious and addictive. The Art Bar menu has something for everyone. Within the hotel is ArtBar and Dante both excellent dining options. If you want to step out and explore a little you can check out: Shabu and Mein, Helmand, Tahaza, Boca Grande, Sumiao, Saloniki, Lone Star Taco Bar, Petsi Pies, and so many more places. Cross the river to the North End or head into Harvard Square for an afternoon or evening too.